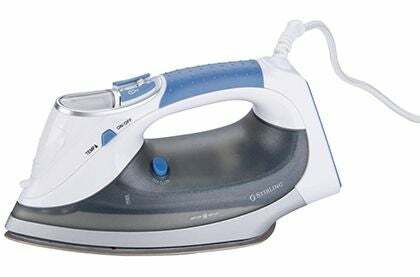 Compare clothes irons from Braun, Electrolux, Kambrook, Kmart, Philips, Russell Hobbs, Sunbeam, Target, Tefal, ALDI and Big W, on factors including their effectiveness, value for money, ease of use, durability, functionality, design, weight & size and overall satisfaction. 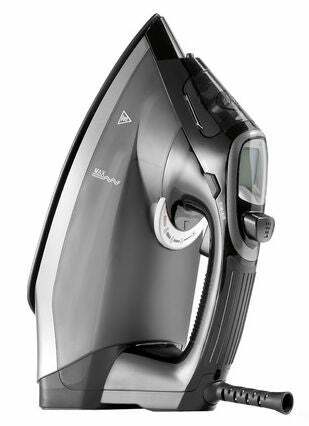 In a competitive market, Philips has topped Canstar Blue’s customer ratings for clothes irons. It achieved five stars in almost every category, including effectiveness, functionality, weight & size, ease of use, design, durability and overall satisfaction. When it comes to the list of chores that people generally don’t want to do, doing the ironing is right up there. While not the most exhausting job around the home, it can be time-consuming, particularly if you have to iron other people’s clothes as well! Add in an iron that doesn’t work properly, and it can quickly leave you feeling a little hot under the collar! Finding a new clothes iron, however, can be equally frustrating, as shoppers have no shortage of brands and models to choose from. While they will all promise to take care of any creases and wrinkles that you have, finding one that best fits your ironing workload, preferences and budget is not easy. But when you do, you’ll be able to ‘let off some steam’ (sorry, more ironing puns to come). 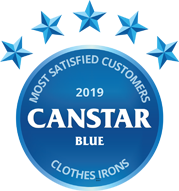 To help you find the best clothes iron for you, Canstar Blue produces an annual review, asking hundreds of Australian consumers to tell us about their experiences with the iron they own and use. The idea is to give you a high-level guide to the best-rated brands before you head to the appliance store. So, let’s iron out the results and see which brand has won this year. Improving in almost every category from last year’s results, Philips has topped the ratings with five stars in most areas. However, Tefal, ALDI and Kambrook each scored a five-star rating in at least one category, giving shoppers plenty to think about. Turning the table on its head, last year’s winner, Russell Hobbs, is now bottom of the table. Dutch electronics company Philips offers a number of stylish-looking clothes irons for Aussie shoppers to choose from, regardless of how big your budget is. Starting from just $50 is the ‘EasySpeed’ range, which includes features such as a non-stick plate and 2.5m cord, making it a handy option for those not looking for the top of the line. If you’re after something with a bit more to it, Philips offers the ‘PowerLife’ range, which includes auto safety off, a larger water tank capacity and extra stability in the heel rest. The top of the line PerfectCare range, meanwhile, will set you back close to $200 depending on which retailer you visit, but comes with features such as a larger steam boost for stubborn wrinkles, as well as a drip stop and built-in cleaning slider. In addition to clothes irons, Philips offers plenty of related accessories, including an ironing board, iron cleaners as well as fabric shavers to help ensure that you look as fresh as possible. Philips rated five stars in almost every category, including effectiveness, functionality, durability and overall satisfaction. It got a four-star rating for value for money. 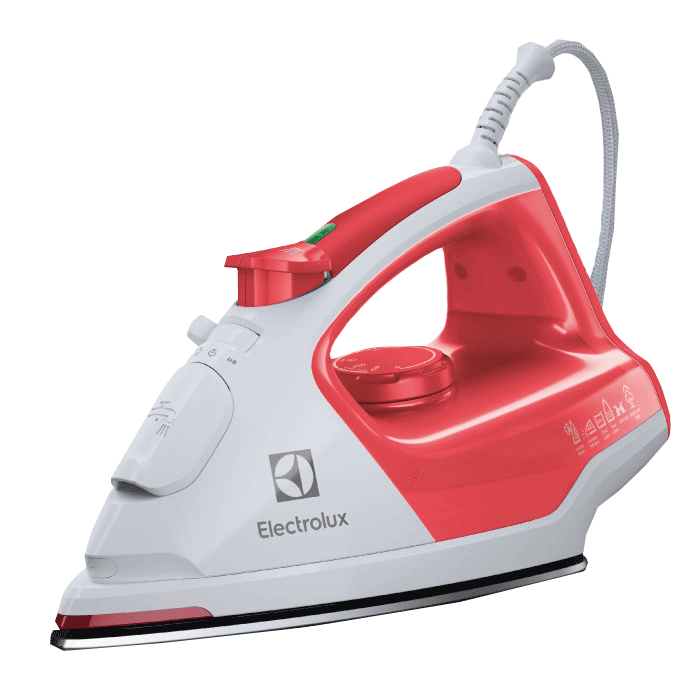 Offering plenty for both the laundry and the kitchen, Electrolux’s range includes a number of clothes iron models, such as the EasyLine, ErgoSteam and UltraSteam for shoppers to choose from. Electrolux models come with a two-year warranty, and are available at local homeware and electronics stores. The EasyLine range includes a non-stick plate, along with temperature control to help you iron your entire wardrobe, regardless of the fabric type. The ErgoSteam range bumps it up a notch, including a Safe Touch Indicator to keep burns to a minimum, as well as steaming features to help take care of those stubborn creases. Including an integrated anti-drip system and a 360° swivel cord, the ErgoSteam may be a handy option for most households. The UltraSteam may catch the attention of those who always seem to have a pile of laundry to do, with a Precision nose for tricky areas, an XL Safety Stand, and a ‘Self-Clean’ System to make the upkeep just as easy as ironing itself. With four stars across the majority of categories, including value for money, design and overall satisfaction, Electrolux was additionally rated three stars for ease of use. A well-known household brand, Tefal offers a wide variety of irons, including cordless models and models suitable for dry-cleaning businesses. 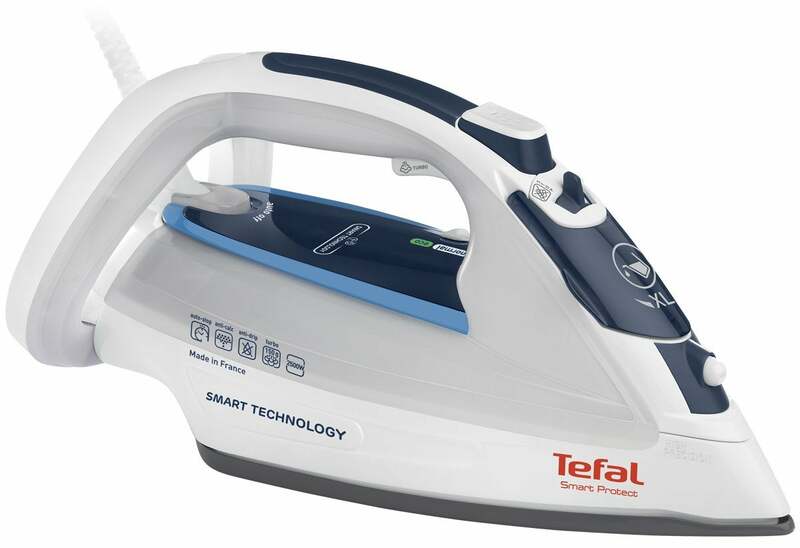 Tefal’s irons are available for purchase at homeware and electronics stores, as well as online, with Tefal providing a list of retailers on its website. Tefal’s introductory model – the Comfort Glide – comes with a Durilium soleplate for easy cleaning, along with a vertical steam function and anti-drip design for easy use. Other models include the UltraGliss range, which includes features such as an auto shut-off function for additional safety, as well as a comfort handle for those long ironing sessions in front of the TV. Tefal’s cordless model – the Freemove – includes a charging base, as well as an easy fill water system and integrated anti-drip system to ensure you’re not left with a mess. The Freemove can operate for up to 20 seconds off the base, and charges in just four seconds, making it a handy option for those prone to getting caught up in the cord. Tefal’s Professional range primarily comes in the form of its ‘Turbo’ models, with 2400W of power to take care of tough creases. Including a Durilium ‘AirGlide Autoclean’ soleplate for maximum steam distribution and easy cleaning, the Turbo range additionally includes multiple steam modes, plus a comfort handle for when you have plenty of shirts to iron. The only other brand apart from Philips to score top marks in both effectiveness and functionality, Tefal was rated four stars across all other categories, including durability and value for money. Primarily known for its beauty and personal hygiene range, German manufacturer Braun has a number of steam irons available, priced between $80 and $180 depending on which model you decide to take home. Braun’s range is primarily split between the TexStyle 5 and TexStyle 7, each with several different models in the line. The more affordable option, the TexStyle 5 range, includes features such as a scratch-resistant soleplate, ergonomic handle for increased comfort, as well as 2000W of power output. The TexStyle 7 range bumps up the steam intensity and power output, as well as including features such as auto-off for increased safety, with the TexStyle 7 Pro model including a Precision Zone for those tricky areas. If you’re after something serious, Braun additionally offers the TexStyle 9 model, which includes a curved ‘FreeGlide’ soleplate, allowing for easy ironing arounds pockets, buttons, and other bumps. In addition to the scratch-resistant plate, the TexStyle 9 also includes the auto-off and anti-drip functions, with multiple steaming options to suit a variety of fabric types. Achieving four stars for durability, design, weight & size, as well as overall satisfaction, Braun was rated three stars in all remaining categories. While absent from last year’s ratings, ALDI Stirling has taken it to the big names with strong results in our latest review. Primarily offering two models, ALDI Stirling offers the LCD Steam Iron, as well as the Steam Station Iron for shoppers to pick up at their local supermarket. 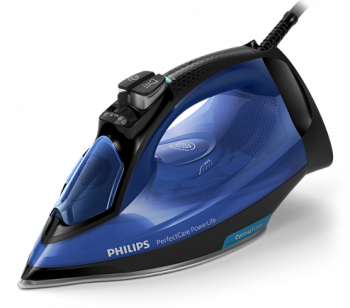 The LCD model is a more traditional-looking iron, including a double ceramic coated soleplate, along with a 3m cord and LCD electronic display, with steam and temperature control, making ironing feel a bit more hi-tech. The Steam Station is a bit more of a ‘unit’ than the LCD, including a removable 1.7L water tank, making it ideal for those who have plenty of clothes to get through. With an adjustable steam rate and cord storage, the Steam Station additionally offers 2400W of power, helping to make light work of those tough wrinkles. The only brand to score a five-star rating in value for money, ALDI Stirling was rated four stars for effectiveness, durability, functionality and overall satisfaction, with three stars for the remaining categories. A staple within the appliance market, Sunbeam offers one of the more affordable ranges, generally priced between $40 and $150 at all major electronics and homeware stores. Sunbeam’s range primarily focusses on the ProSteam and Verve models, with a number of other models additionally available for purchase. The ProSteam range includes the Glide, Auto Off, Power and Swift models, each available with either a 12 or 24-month warranty. The Glide model weighs in at only 1kg thanks to its aluminium soleplate, making it fairly easy to manoeuvre, while the other ProSteam models come with either ceramic or EasyGlide plates. 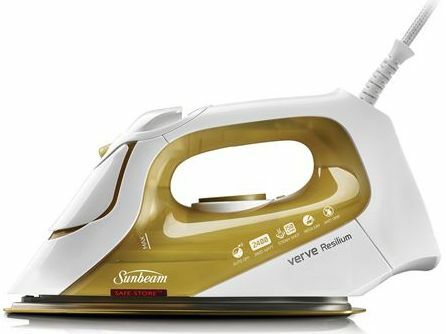 The Verve range similarly offers plenty of models to pick from, each with Sunbeam’s patented dual steam chambers to optimise the steam pressure for a smoother iron. Features such as a drip stop, fine mist spray and cord storage are available on all Verve models, with the more expensive MaxGlide and Extreme Steam stepping it up through a Resilium soleplate, as well as safety auto-off and cord storage clips for easier use. Sunbeam also offers a travel clothes iron for those who need to look good on the go, weighing in at under 1kg and able to be packed away in your luggage. Scoring consistently across the board, Sunbeam was rated four stars in all categories, including effectiveness, value for money, durability and overall satisfaction. One of the most affordable ranges available, Kambrook’s clothes irons can generally be bought for under $50, depending on your local retailer of choice. The range begins with the SpeedSteam iron which includes 2000W output, as well as a non-stick soleplate and anti-drip system. Other models include the Steamline model, which bumps up the power to 2400W, and includes a bigger water tank, as well as self-cleaning functionality. With its removable 180ml water tank, the Detach model is even easier to fill up at the tap without the need for a cup. Other features include variable temperature and steam controls, plus a safety auto-off function. Scoring five stars for design and weight & size alongside Philips, Kambrook was rated four stars on value for money, ease of use, durability, functionality and overall satisfaction, with a three-star review for effectiveness. 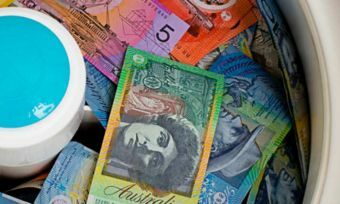 The Big W Smart Value iron will only set you back $12, meaning if you’re strapped for cash, or aren’t fussed about all the bells and whistles, then it may be the ironing option for you. 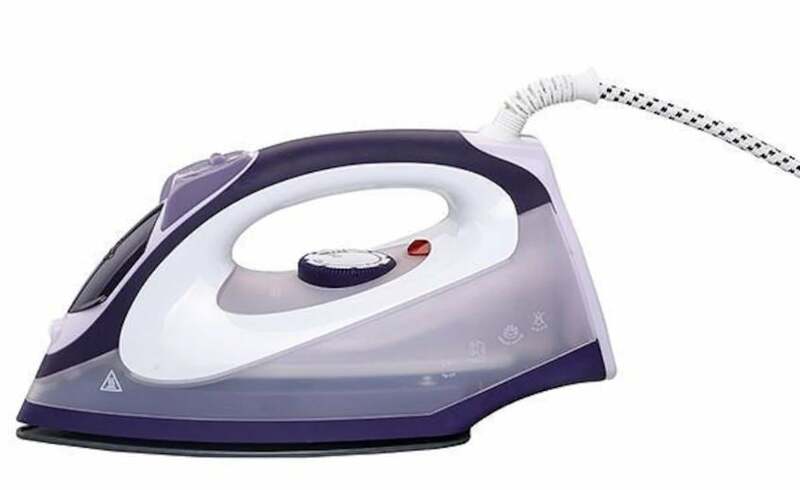 Including features such as a soft touch handle, steam boost and non-stick soleplate, the Smart Value iron packs 2000W of power, meaning it should be able to handle plenty of wrinkled clothes. While rated three stars on ease of use and functionality, Big W was rated four stars in all remaining categories, including value for money, design and overall satisfaction. Priced under $30, Target’s range of clothes irons may be a suitable option for those not looking to spend big, or who just don’t need anything fancy when it comes to doing the chores. The Target Steam Iron will cost you $12, and includes a non-stick soleplate, a measuring water cup, as well as a self-cleaning function and variable temperature controls, meaning if you only need to iron the occasional shirt, it could be well worth it. Target’s other iron will set you back $29. It includes additional features such as anti-calc cleaning system, as well as an EasyGlide soleplate for easy use. Rated four stars for value for money, durability and overall satisfaction, Target scored three stars for all other categories, including ease of use and effectiveness. 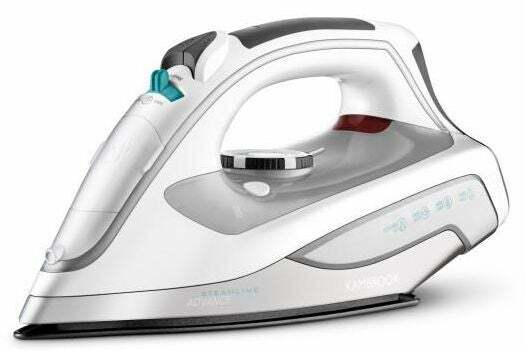 Providing another cheap option for shoppers to choose from, Kmart’s Homemaker brand offers a number of irons for less than $35, with the cheapest model setting you back just $7.50! Kmart’s cheapest clothes iron still includes a non-stick soleplate with a self-cleaning function, plus a perfectly reasonable 1200W of power behind it. The more expensive model includes additional features such as an LCD display, anti-drip and auto shut-off for easy use. Rated three stars in the majority of categories, including ease of use, functionality, effectiveness and overall satisfaction, Kmart scored a four-star rating for value for money. Suffering a fall from grace in our ratings, Russell Hobbs provides a number of models, including the Rapid, Smooth IQ, and Impact lines, all of which are available from local electronics and homeware retailers. The Rapid is Russell Hobbs’ introductory model, including features such as a non-stick ceramic soleplate and a 3m cord, along with self-cleaning functionality. The Smooth IQ kicks it up a notch, offering a 3-way auto shut-off function, along with a longer cord and larger water tank for those big ironing sessions. The Smooth IQ additionally comes in a ‘Pro Iron’ and ‘Plus Iron’ model, with each featuring a tourmaline-infused soleplate for a smoother glide, while also including softening agents to cut down on friction. If the top of the line is more your style, the Impact iron includes a protective over-mould for longer lasting performance, with variable steaming options for tough fabrics. Also boasting enough durability for a 1.2m drop, Russell Hobbs might be worth checking out if you have a house full of butter-fingers. Rounding out the results, Russell Hobbs was rated three stars for value for money, ease of use and overall satisfaction, while scoring four stars for all other categories. Ultimately, you’ll want your clothes iron to remove creases from clothes, but if it doesn’t have enough heating power, you may be stuck ironing the same shirt for 10 minutes. The effectiveness of an iron also depends on the soleplate material. Although you may find that a non-stick soleplate is easier to maintain and clean compared with a stainless steel soleplate, it’s important to not scratch it as this will decrease its effectiveness. Polished stainless steel, however, may also scratch and stain over time, making the iron drag. Another element of the soleplate is the anti-drip properties. These types of system can help to reduce water marks while still providing the powerful shots of steam necessary to remove wrinkles. The button groove between the iron body and the soleplate is also important to help with the ‘glideability’ around buttons and is a fairly standard design element across all brands. Durability will depend on the material build of the clothes iron construction, as well as the soleplate. Most irons use plastic for the construction and non-stick soleplates. A non-stick soleplate is certainly a must for easier cleaning on starch build-up. However, any regularly cleaned soleplate should glide just as easily. Higher priced models provide further technology to increase scratch resistance. A self-cleaning system aims to help remove mineral deposits from vents and maintain the longevity of the iron. There are several key features to look out for including an auto-shut off system that cuts off power if the iron is left unattended or tipped over. You may also find this feature to be a useful energy saving tool. If you tend to iron large batches, then an iron with a large water tank is necessary so that you don’t have to refill the iron too regularly. Other features that you may find useful include a power-on light so that you know when the soleplate is hot and a thermostat as it allows for precision control on a variety of fabrics. Additionally, a transparent reservoir helps to see how much water is remaining while a removable water tank design, allows you to refill without spilling. You may also like to consider an iron with a wraparound cord storage that clips in securely for convenience. There are also cordless irons that allow you to iron in any direction with ease but the downfall is that some struggle to maintain consistent heat before needing to recharge. Lightweight designs allow an iron to move easily, but may require more pressure when ironing. On the other hand, a heavier iron uses less downward pressure but may not be as easily movable. Many brands boast light clothes irons, with an average iron coming in between 1 – 3kg. Opting for a lightweight model may be a consideration if you have younger children helping out with the clothes ironing chore. You may also like to look at the design of the handle and see whether it is the right fit for you, as well as if the controls are easy to see. Ultimately, it will be your budget that goes a long way to determining your final decision on which iron to go with. What influences the cost of an iron is the wattage power that allows for a fast heat up time and maintains the temperature, plus the material build and extra features. The Australian adults we surveyed spent an average of about $85 on their clothes irons. Whether you want a standard clothes iron for occasional use or would like to invest in a high-tech iron to reduce the time you spend ironing, there are plenty of options around. As noted above, you could pick up a cheap iron for less than $10! 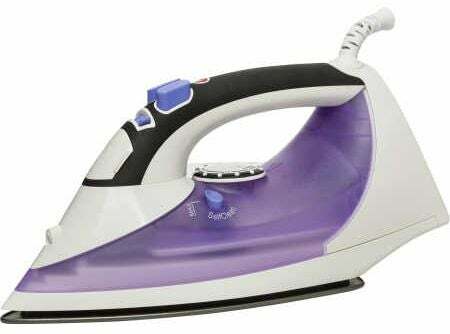 Which clothes iron should I use? You would be forgiven for not giving much thought to which brand and model of clothes iron you pick up at the store, but you may be left working a lot harder on your shirts if you get the wrong one. With plenty of features such as temperature controls, water tank capacity and self-cleaning functions all available on select models, there’s certainly plenty to consider. Considering that 25% of survey respondents are often frustrated with the performance of their iron, and 58% iron clothes for other people in their household, having the right iron can not only save you time, but plenty of effort as well. Canstar Blue surveyed 3,041 Australian adults across a range of categories to measure and track customer satisfaction, via ISO 26362 accredited research panels managed by Qualtrics. The outcomes reported are the results from customers within the survey group who have purchased and used a clothes iron in the last 2 years (including garment steamers) – in this case, 864 people. 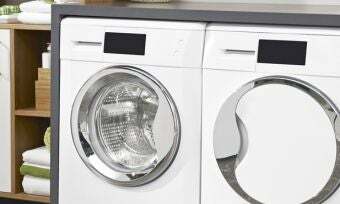 The idea of combining your washing machines and clothes dryer seems like a no brainer, but is it that simple? Read Canstar Blue’s guide to washer dryer combos. What is a condenser clothes dryer? How do they work? 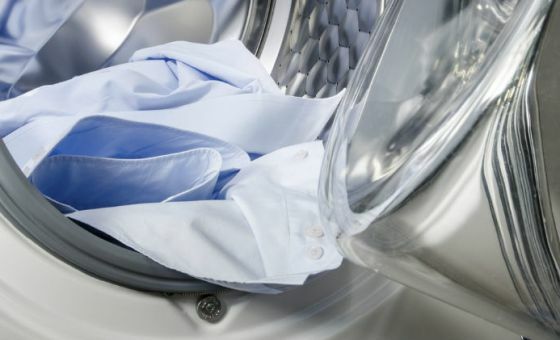 Find out everything you need to know about condenser clothes dryers at Canstar Blue. 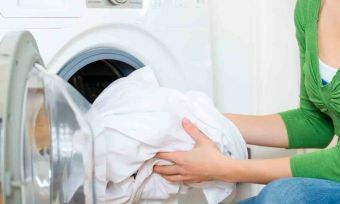 Heat pump dryers are often name-dropped as the best appliance for drying your clothes. So how energy-efficient are they? 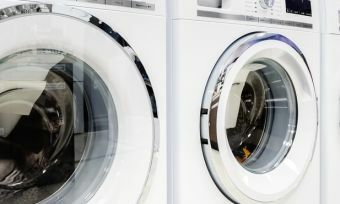 Canstar Blue looks at the highest rated appliance brands and picks out some potential bargains this end of financial year sales time.